Yesterday we spent most of the day (7 hours!) 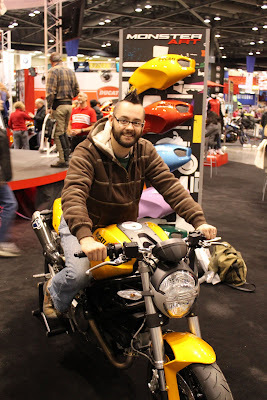 at the Seattle Motorcycle Expo. 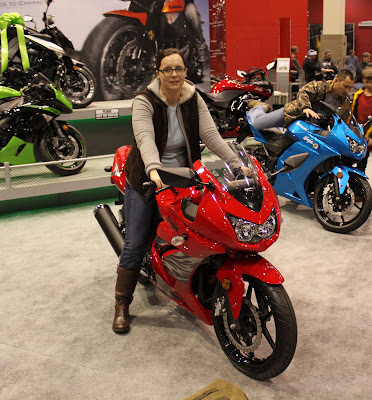 We saw quite a few interesting motorcycles and trikes, sat on a few ourselves, and got to spend time with good friends (Thanks for the tickets, Scott!). 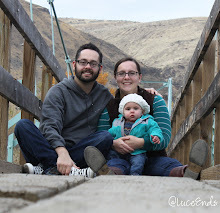 Below are a few pictures we thought you might enjoy. 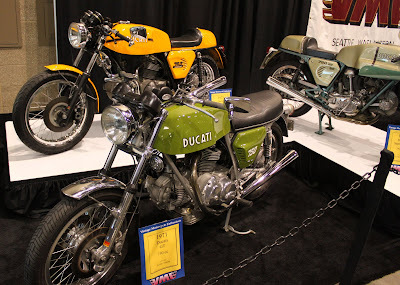 There were a ton of cool looking vintage motorcycles on display. The first time I've ever been on a motorcycle by myself, a Ninja 250. 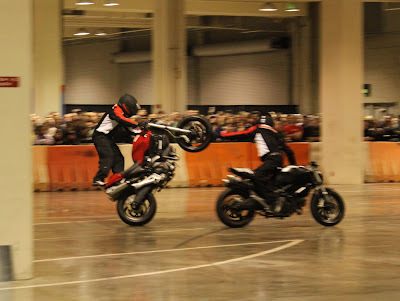 We watched a Ducati stunt team twice. The floor was super slippery, so they sprayed pancake syrup all over to make their tires stick a little better. Here's Tom on a Ducati! How fun! Jeremiah used to ride for a stunt team :) It's so interesting to watch the tricks they do. Unfortunately, we had to sell his last motorcycle. I miss the rides. I've made him keep all our gear just in case we get another one before we get fat and old!